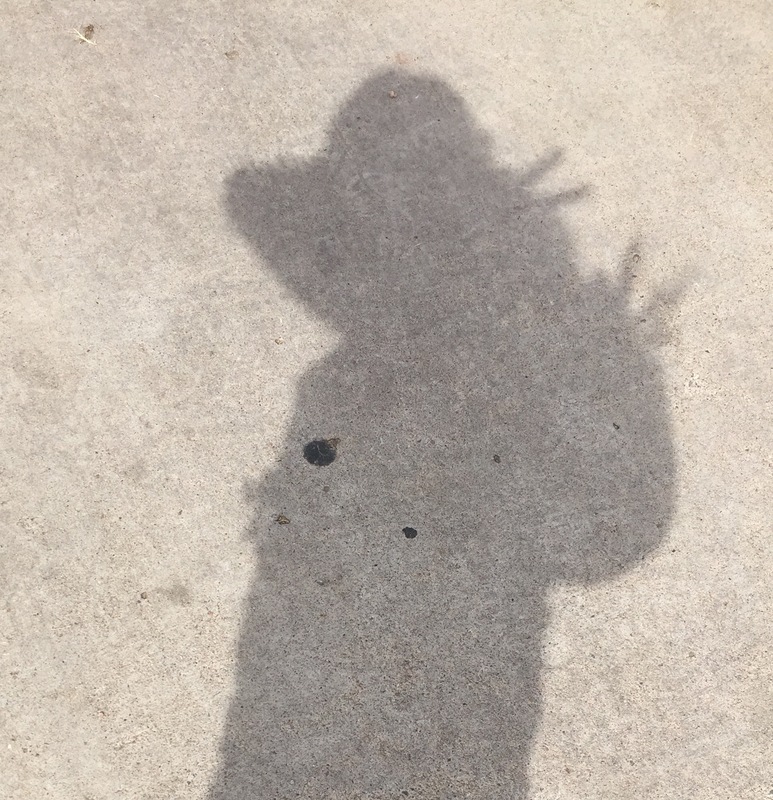 The person who said “You can lead a pineapple to water but you can’t make him stink” was totally wrong. My pineapple is starting to smell funny. Mo demanded that I walk downwind, and given the normal stench coming from my shoes, that’s saying something. Such as, time for a new pineapple. Or hope that Mo’s allergies flare up again. 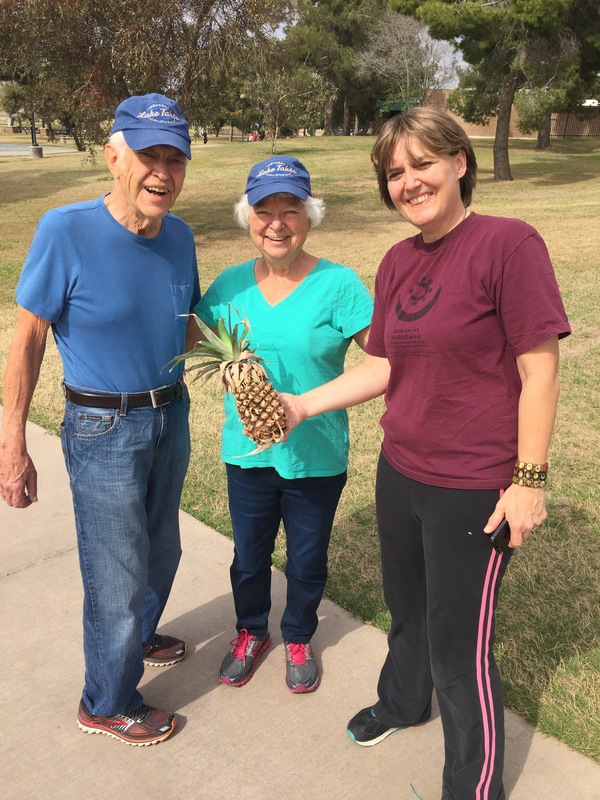 The pineapple enjoyed the outing, an elderly couple enjoyed his company, although I don’t think they ever quite understood what exactly we were doing, and the little jagged things on top poked the bejeeebus out of me. So now I am toally without bejeeebus. 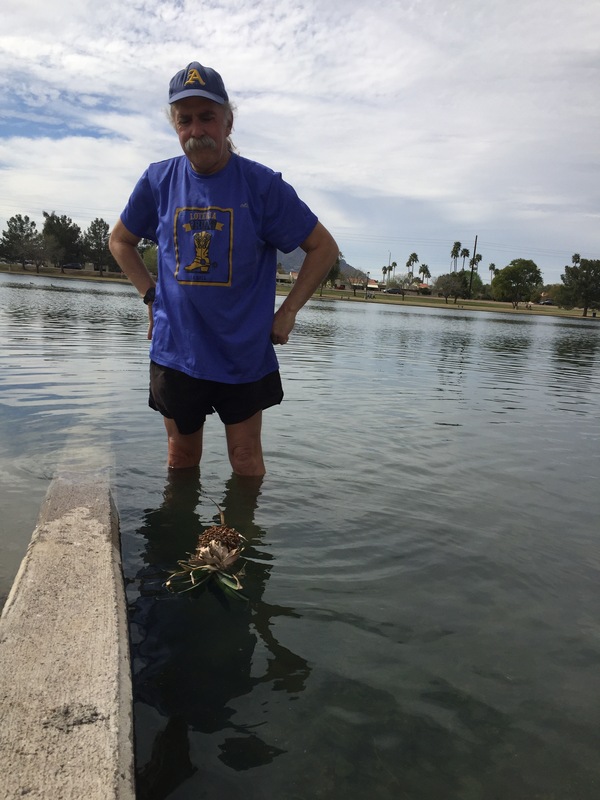 He was supposed to go for a swim, but mostly he re-enacted the parrot skit from Monty Python. At least that explains the vaguely European accent. A warm day, a blue sky, my best friend and a stinky pineapple. What more could you ask? p.s. 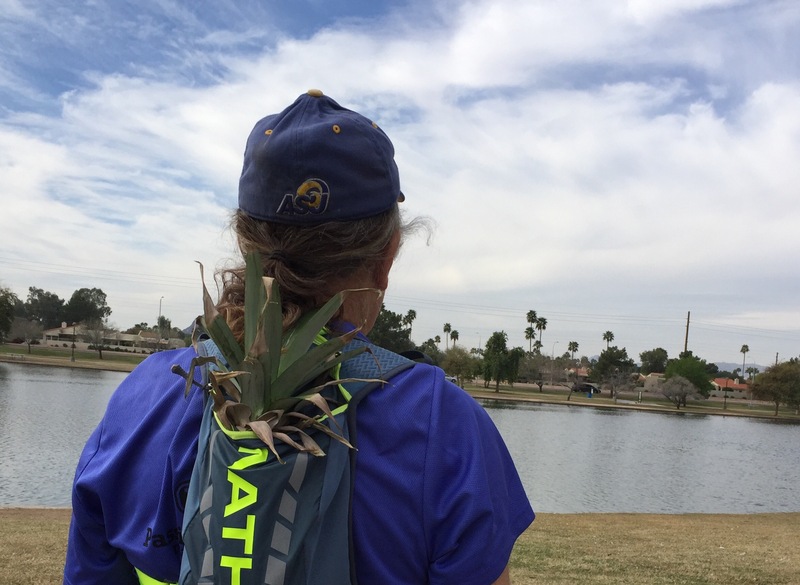 the Nathan Fireball is the perfect size for toting a pineapple on your run, should you ever find yourself in that situation. And I hope you don’t. This entry was posted in running and tagged happily ever after, life, marriage, running. Bookmark the permalink. sure, competitive bobsledding with the pineapple would be better, but what have i got to luge? ha ha. Okay, I guess. it’s part of muskrat2020.com. it’s a yearlong thing and the winner will run for president under the Pineapple Party banner. each month there’s a required Random Act of Silliness. 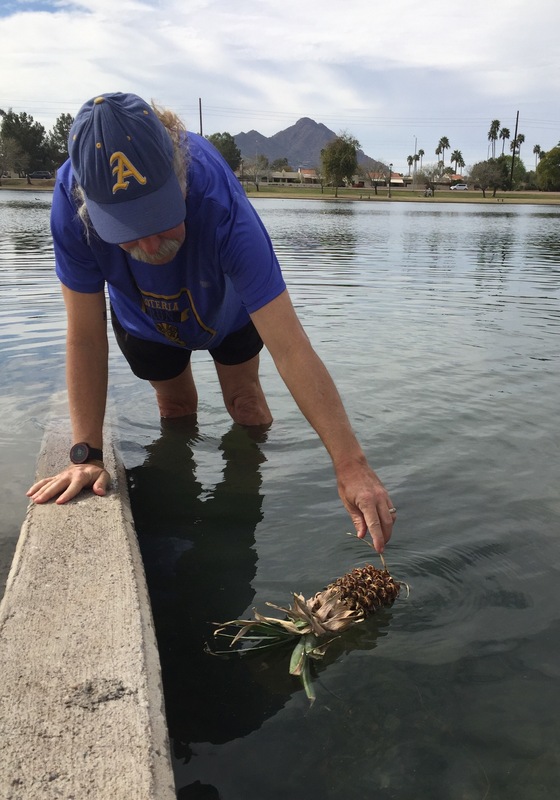 this month was taking your pineapple out to see his shadow and then joining him in a refreshing dip. no idea who comes up with this stuff. Ah! Okay. Sounds like you’re on course for a win, though. Does it have to be the same pineapple all year? no, and there is a disturbing trend of peeps eating their running partner shortly after their run. i, feeling a sense of loyalty, tend to hang on a bit too long. Wander wolf, pineapples need exercise too. What does one do with a bejeesus when one has it? I’ll bet the sweet potato is jealous.